BISHKEK, March 27. /TASS/. Kyrgyzstan and Russia should have common educational space, Kyrgyz President Sooronbay Jeenbekov said on Wednesday at the first forum for principals of higher educational institutions held in Bishkek. "We are pleased that our higher educational institutions managed to become integrated. Thirty years ago we represented common economic space together, which was competitive in the world and corresponded to the set tasks. Time showed that we should have common educational space now as well," he said. 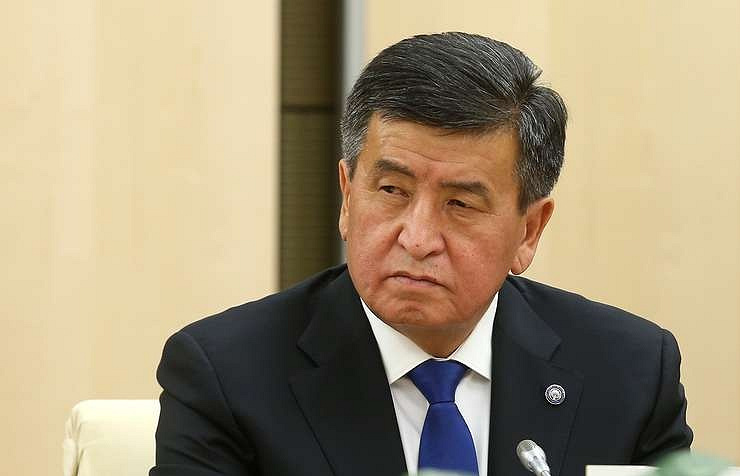 "Education is needed that would change our economy and life," Jeenbekov said. 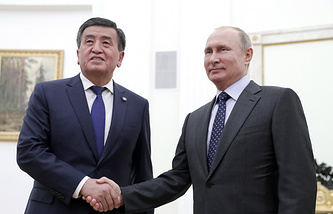 Kyrgyzstan’s president also suggested the Russian side carrying out "joint scientific researches" more actively and highlighted that the Russian language in Kyrgyzstan "will preserve its official status." "Meaningful results of our cooperation are needed," the head of state added. The first forum for heads of Russian and Kyrgyz higher educational institutions in Bishkek gathered 40 Russian and 31 Kyrgyz presidents of universities, academies and institutes. About 70 documents on cooperation, in particular the Moscow State University and the Kyrgyz State National University, the Kyrgyz State Technical University and the Novosibirsk State Technical University, the Kuban State Technological University and the Kyrgyz State Agrarian University, are to be signed after the forum. Russian Minister of Science and Higher Education Mikhail Kotyukov heads the Russian delegation, and Kyrgyz Minister of Education and Science Gulmira Kudaiberdieva heads the Kyrgyz delegation at the forum. The event comes ahead of Russian President Vladimir Putin’s visit to Kyrgyzstan on March 28. According to official information, 15,800 Kyrgyz citizens study in Russian higher educational institutions, and more than 1,500 Russian students study in Kyrgyz higher educational institutions.